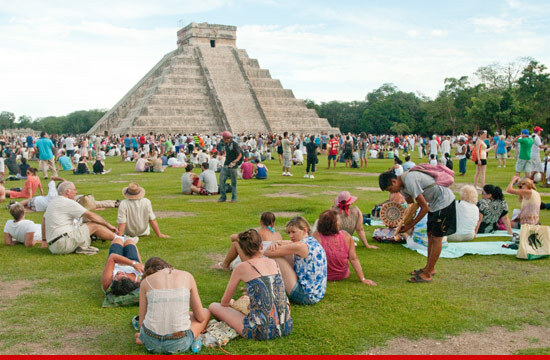 Idiots are sititng at theTemple of Kukulkan, a Mayan structure built some time between the 9th and 12th centuries AD to honor the snake god Kukulkan. They are just wanting to get a look at it before it all ends tomorrow. Really? I bet tomorrow the sunrises and sets as usual. I don't think there is a need to brake out our flash lights and battery powered radios. I barely trust the weather man who has all the latest technology.. let alone some cave men claiming to know when the world wound end. Nope.. that just doesn't work for me.